Here you can find a BHS discount code. Plus, information on BHS (British Home Stores) latest sales, voucher codes and special offers. Everything is posted and verified by our community of bargain hunters. 60% off Women's Clothes at BHS - Closing down Sale! BHS - Buy One Get One Free on Everything! SPEND & save This Bank Holiday Weekend! BHS or British Home Stores was founded by a group of US entrepreneurs in 1928. Before it collapsed, the company has over 165 chains of stores which are mainly located in high streets or shopping centres. BHS’s main offerings are clothing and household items but have expanded into furniture, electronics, entertainment, convenience groceries and fragrance and beauty products in its later years. When the company failed to bring in the required amount to safeguard its future, it was established that the chain had entered administration on April 2016, while on June 2016; BHS announced that that it would be wound down after failing a number of times to find a buyer. 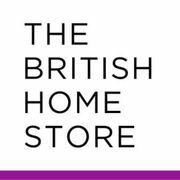 By July of that same year, their website was shut down and by August 28, 2016, British Homes Stores’ 88-year trading was brought to a close. However, after just one month of shutting the doors of their high street shops, BHS announced on September 2016 that it will be reborn online as BHS.com. Their online retail shop brought back their customer’s all-time favourites starting with their statement lights. BHS has plans to expand their product range to include dining, fashion, childrenswear and a lot more. Floor Lamps – choose from their industrial camera floor lamps for style, contemporary tripods for a sleek update. Chandeliers – the sparkling glass, antique gold finishes and dazzling diamantes of their chandeliers can provide a statement in your home. 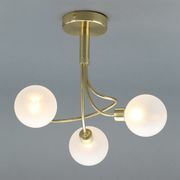 Wall – shop for this alternative or addition to ceiling lights to provide any room in your home with great mood lighting. 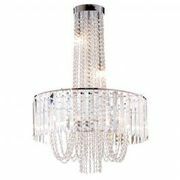 All Ceiling – choose from space saving flush mount lights to dazzling crystal glass chandeliers. Crystal – they have a new collection which features an exquisite array of artisan faceted and baguette cut crystal chandeliers, crystal table lights as well as contemporary chandeliers and wall lights. Industrial Trend – useful extending table lamp arms, floor lamp tripod legs and deconstructed chandeliers, complimented with contemporary modern and industrial shapes. If you’re looking for a Bedroom or Bathroom ideas and inspiration, they have a wide range of designs from a white bedroom or a vibrant bathroom to perfect your interior. Their homeware product range has a wide selection of fit and finishes that can easily be swapped into your home to give any room a fresh new look and feel. Their women's wear product range includes knitwear, trousers, jeans, skirts, jackets, sleepwear, swimwear, loungewear, dresses and tops from the old classics to the more modern statement pieces. Refresh your look with everyday menswear favourites at great prices. Discover easy T-shirts & casual trousers. Whatever your style and budget, they’ve got you covered. How do I contact BHS? Their Customer Care team can assist you with all your needs regarding their website, your order and any other general enquiries. Tweet their Customer Care for questions @BHSCustomerCare. You can call their Customer Care team at 0333 733 1000. What are the delivery options for BHS? Items are usually delivered within 3-5 working days, Monday to Friday. Items are usually delivered within 1-2 workings days, Monday to Friday. Express delivery is not available to non-Mainland UK addresses. £4.60 Collect+ Delivery is available on selected orders. Items are usually ready for collection from your selected Collect+ store after 1-2 working days. Collect+ delivery is not available to non-Mainland UK addresses. Non-mainland locations are defined as Jersey, Guernsey, Isle of Man, Isle of Wight, Isles of Scilly, Northern Ireland, Highlands and Islands. Express delivery is not available to these locations, and standard deliveries can be subject to longer delivery times. Delivery outside of the UK is not currently available. For more information you can check their Terms and Conditions of Delivery page. How do I return an item to BHS? You can return an item to BHS within 30 days from purchase. Items being returned must be in their original condition and include all labels and original packaging. Returns should be completed via the toyou service at over 600 Asda stores or using our Collect+ returns service which is available at over 6000 locations. Cut off the Collect+ returns label found on your delivery note you received with your order. Re-pack your item(s) in the original packaging with labels and tags still attached. Securely attach the printed Collect+ label to your parcel, making sure to cover the original delivery label. Find your nearest store at www.CollectPlus.co.uk and drop off your parcel. You’ll receive proof of postage here – remember to keep this safe in case you need to use it as evidence of your return. You can track your return www.collectplus.co.uk/track/new using the code you were given. Once BHS receive the item back you’ll receive your refund. Please allow up to 14 days. You can print your return label if you lost in on their website. Maximum dimensions for using the Collect+ service is 60cm x 50cm x 50 cm. Maximum weight: 10kg. Take your labelled parcel to the toyou kiosk or desk at your local Asda. Remember to include your returns note! Place your parcel in the returns dropbox or give it to an Asda colleague. You can track your parcel at www.toyou.co.uk. Maximum dimensions for using the toyou service is 60cm x 60cm x 90cm. Maximum weight: 25kg. Once BHS received your items at their warehouse, your refund will be applied within 14 days. Contact their customer care if you have not received your refund in the time frame provided. The refund amount will be applied to the credit card or debit card used as payment for the original order. For further details, you can check out their website for the Terms and Conditions relating to returns. If you love fashion and interior, BHS is committed to bringing you great prices and offers, providing value for your home and wardrobe. Everything from floor lamps to floor length dresses, all with up to 50% off.